Michelle is a self-taught artist living in Yorkshire. Her paintings are full of texture and atmosphere, capturing light and shadows. The jewel like colours used by Michelle seem to dance on the canvas. 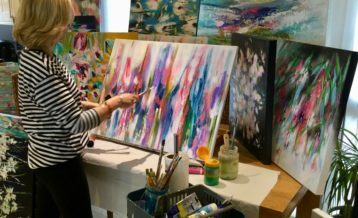 Michelle’s abstract floral paintings are lively and uplifting, inspired by the flowers in her garden, and nature in general. 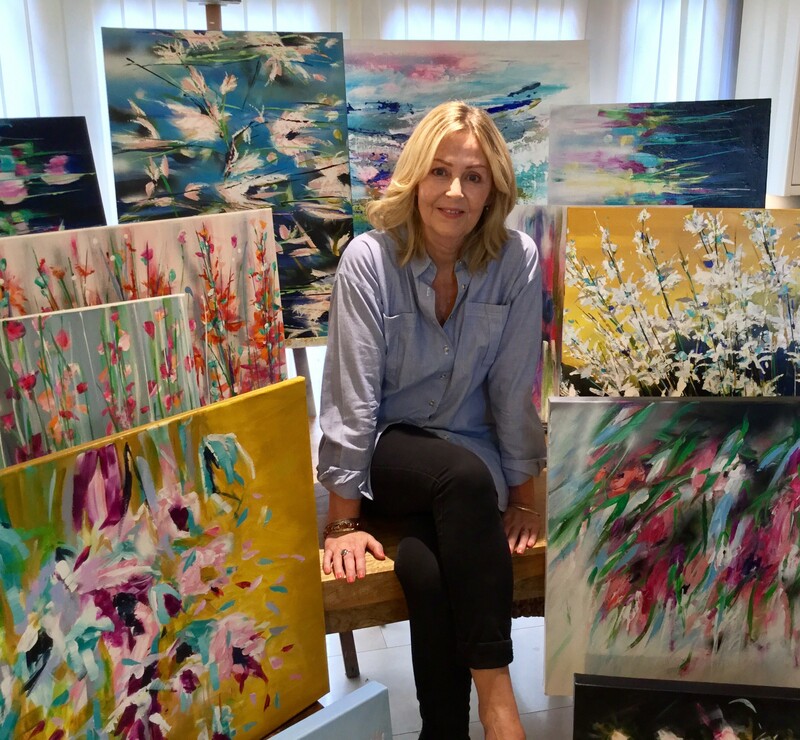 Her work is constantly evolving, and her paintings hang in many private and corporate collections in the UK and abroad. Michelle is more than happy to paint commissions, creating something unique for your space. Please contact Michelle if you would like her to paint a commission for you.